Are your eyebrows falling out without any real reason? If so then you need to read this post which outlines the top 10 most common reasons that may cause your eyebrows to fall out. It's no surprise that people get upset when their eyebrows fall out. After all your eyebrows help create the normal shape and figure of your entire face by framing your eyes! 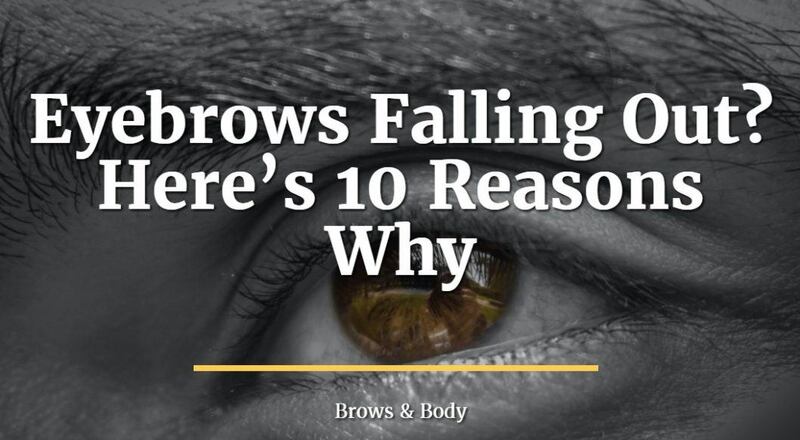 So what actually causes your eyebrows to fall out? It turns out that this isn't a straightforward question because many different medical conditions can all contribute. The reasons range from infections to nutrient deficiencies to lifestyle issues. Your eyebrows are incredibly sensitive to changes in your body and the fact that they are falling out can be an early warning sign that something is wrong with some organ system in your body. Your body will sometimes kick out your eyebrows in an attempt to save more vital structures and while this isn't good for your cosmetic appearance it may be good for your body overall. So with that in mind let's talk about diseases and conditions that may cause your eyebrows to fall out. Remember that there are MANY causes and diseases which may cause your eyebrows to fall out. The key to growing back your eyebrows is to find the main issue that you are dealing with and then REVERSE that problem. Some of these solutions are easy fixes while others may take time. Probably one of the most common causes of eyebrow shedding is known as Telogen effluvium. Telogen effluvium refers to a condition in which your hair falls out at a faster than normal rate. Basically it is falling out faster than your body can grow it. This disease state is usually the cause of excessive stress on the body! This stress can be emotional or physical. Conditions that may spark this type of eyebrow loss include divorce, chronic stress at work, physical trauma like a car accident and so on. Basically any cause of extreme stress may result in hair loss (eyelash, hair on your head and eyebrow). Kick your stress to the curb. Eliminating stress in your life may not be easy but it is the only treatment for this type of hair loss. You can jump start hair growth by taking certain supplements and using certain creams but you won't fully realize hair regrowth until you eliminate the stress. Believe it or not extreme dieting that leads to malnutrition can cause eyebrow hair loss. I'm talking about any diet that results caloric restriction of less than 1,000 calories per day for an extended period of time. Diets like the HCG diet are notorious for causing eyebrow hair loss and this has to do with the metabolic changes that occur in your body from prolonged dieting. Repeated yo-yo dieting can also cause eyebrow hair loss. The problem with hair loss due to this cause is that simply stopping the diet may not be enough to fix the hair growth. The reason for this is that the hair loss is usually due to metabolic and hormonal changes that may last for months even after you stop your diet. The key to preventing this hair loss is to avoid extreme or crash diets to begin with! Another common cause of eyebrow hair loss is insufficient protein consumption. This is usually only an issue in extreme or crash diets that exclude certain food groups. Most diets (at least in the United States) contain copious amounts of lean proteins, but some diets may not be rich in certain amino acids such as Leucine. You can get these proteins through supplementing with Collagen which often contain these specific amino acids. The good news about this cause of hair loss is that you can take supplements to help fight it. Do you feel like you are over supplementing? If so make sure you check your supplements for excessive doses of Vitamin A.
Vitamin A is one of a few fat soluble vitamins in which you can actually be getting too much of it. Other hormones (B vitamins, Vitamin C, and so on) are considered water soluble which means that any excess simply go out in your urine. You know this is the case because your urine will often turn bright yellow when you take a lot of vitamins! This isn't true of Vitamin A.
Vitamin A can be stored in your fat cells and slowly released over time long after you stop your supplements. And excessive doses of Vitamin A has been shown to cause hair loss. The treatment is to stop taking Vitamin A and then wait for your body to slowly eliminate the Vitamin A over time. Thyroid issues are an incredibly common cause of both eyebrow and general hair loss! It is estimated that up to 10% of the population has some sort of thyroid disease and even small changes to thyroid hormone can cause big symptoms in your body. Thyroid disease (known as hypothyroidism) usually causes a specific pattern of hair loss and that is the lateral one third of your eyebrow. Usually women with eyebrow disease lose the "tail" of their eyebrow but retain the majority of the bulb area. The bad news about thyroid disease is that eyebrow hair loss is an EARLY sign of thyroid disease. It is often also accompanied by other symptoms such as fatigue, weight gain and other skin issues. The key to dealing with this type of eyebrow hair loss is to get diagnosed and get on thyroid hormone replacement treatment. You can also take certain supplements which help promote thyroid function in your body like this one. Medications can also cause eyebrow hair loss. The medications that result in hair loss are not obscure medications either, they are the ones that are commonly prescribed for conditions such as elevated blood pressure and even for common skin conditions. Topical retinoids (those used for anti-aging) - You can avoid this side effect by simply NOT applying your retinoid to your eyebrow! Testosterone hormone replacement therapy - Excessive testosterone can cause hair loss in women! Obviously you may not be able to get off of your medications but this list can be helpful especially if you are suffering from an unknown cause of eyebrow hair loss. Sometimes it may be as easy as simply changing up your medication as well. Make sure you discuss any changes or options with your Doctor! Trichotillomania is an impulse control disorder in which the person with the disease breaks or pulls out the eyebrow hairs. Chances are if you have this condition then you already know it! But it's still included here for completeness. In my experience some patients with this condition do get microblading while they try to control the impulse disorder, but it can be very difficult. Often times if you can somehow stop pulling or breaking your eyebrows then they will grow back fairly rapidly, but stopping this behavior can be difficult. Another less common cause of eyebrow hair loss is due to infections of the skin. The most common of these infections includes topical fungal infections of the skin. Other more rare types of infections include viral (such as herpes) and bacterial (such as leprosy). Most of the time people do know they have these conditions and they are often easily diagnosed by visiting the Doctor. The treatment is to use anti-fungals, anti-bacterials and anti-viral medications. Once the infection is cleared eyebrow hair growth should start again. Alopecia Areata is an autoimmune condition in which your body attacks your own hair follicles which results in hair loss. This particular autoimmune disease usually affects more than just the eyebrows with patches of the hair on your head being involved as well. If you just have localized eyebrow hair loss, without hair loss on your head, then you probably don't have Alopecia Areata. The problem with this condition is that it can be very difficult to treat with the mainstay of treatment being topical anti-inflammatory medications that sometimes work. The last topic is pretty much any condition which results in direct inflammation of the skin itself! If your skin is inflamed then that inflammation may damage your hair follicles and result in hair loss. The most common cause on the face is Acne Rosacea and Psoriasis. The treatment for these conditions include topical medications to reduce inflammation. Some patients also find therapeutic relief by using UV light therapy! Either way you will need to treat the underlying condition in order to grow your eyebrows back. So what if you aren't sure what is causing your brows to fall out, what then? There are some potential therapies and treatments that you can consider if you fall into this condition. Also, you may be able to help the regrowth process by taking certain supplements or using certain serums. The key here is to be consistent and always be searching for the underlying cause. Eyebrow regrowth serums usually contain prostaglandins which help promote hair growth directly. Some of these serums are actually designed for eyelash growth but they have been found to work on the eyebrows as well! 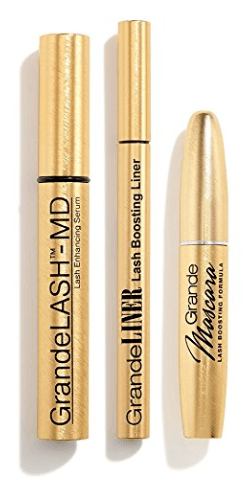 Don't be surprised if you see that a product is for eyelashes only, make sure to check the reviews and you will see that many people apply them to their eyebrows as well and notice an increase in hair growth. The key here is to find high quality serums that contain the right ingredients at the right concentration. Avoid cheap products which don't the right ingredients. Another way to promote hair regrowth is to use targeted amino acids that are contained in collagen supplements. Certain amino acids such as Lysine are required for optimal hair growth and our current diets are such that favor excessive amounts of certain amino acids at the expense of others. There are certain amino acids to be found in the dark meats, ligaments, tendons and organ meats of food and for the most part many of these are excluded in favor of leaner meats. This may lead to a disparity in amino acid consumption. You can fight this by taking collagen supplements such as this one. Lastly you can also consider covering up the eyebrow hair that is lost with procedures such as Microblading or other semi-permanent cosmetic procedures. Many different conditions can all lead to eyebrow hair loss. The key to growing back your brows has to do with finding this underlying cause and then treating that problem. Having said that you can accelerate your results by using certain serum and certain supplements. Are you suffering from eyebrow hair loss? What do you think is the cause of your hair loss?